Size: 785 sq.ft. - 1642 sq.ft. 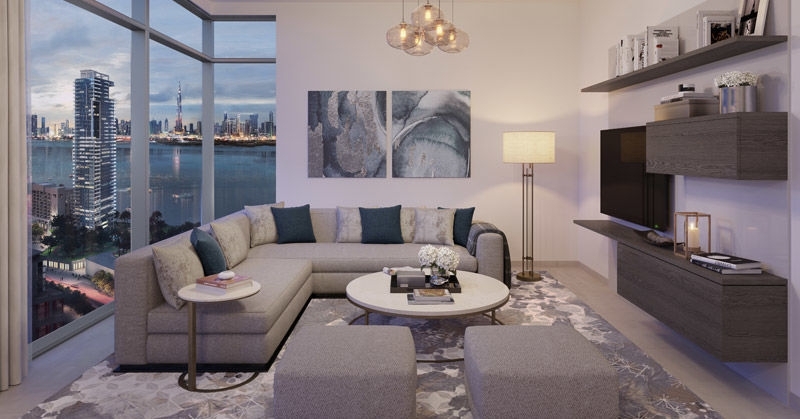 A new twin towerproject is planned to develop by Emaar Properties at Dubai Creek Harbour – "Creek Rise" on an open site. Dubai Creek Harbour at the Lagoons is one of Dubai’s vast real estate developments that will comprise of 7 islands districts surrounded by waterways. It will cover a total area of 70 million square feet with all the basic necessities for the residents, investors or Tourists. 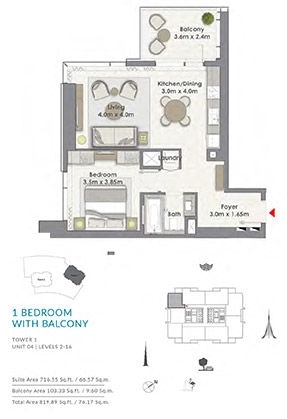 The Rise tower is offering fantastic opportunity to buy apartments of different sizes varies from 1 Bed to 3 Bed homes. This project offering fantastic investing & buying opportunities where the keys will be handover by 2022. The Rise is a new word class venture providing best infrastructure, the style of the building's exteriors and interiors are purely contemporary and expansive. It is a community where people can fulfil all their needs. The project has configuration of plushy apartments of 1 BR with the area ranging from 785 – 830 Sq.Ft, 2 BR at 1103 -1245 Sq.Ft & 3 BR 1441 – 1642 Sq.Ft family homes. Tower 1 is Ground+38 floors and the Tower 2 stands G+29 floors. Currently there is only tower has been launched and both the towers will have total 524 apartments. Rise(Tower 1) consisting of 299 apartments approximately, 102 of one bed, 156 flat of two bed and 57 units for 3 Bedroom and the rest units will be available in Tower 2. 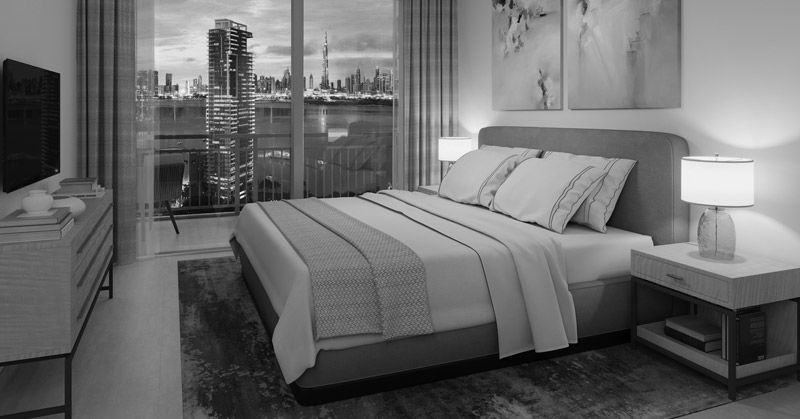 Since the establishment in 1997, the Emaar Group has shaped new lifestyles with a focus on design excellence, build quality and timely delivery. 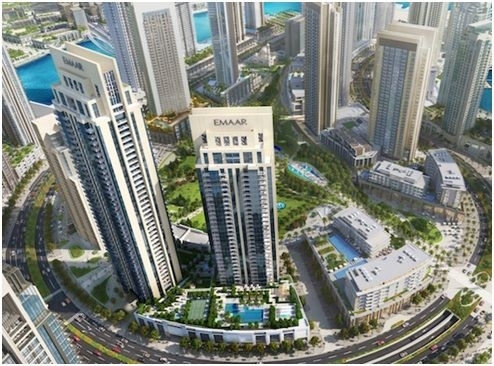 Emaar’s established communities include Arabian Ranches, Emirates Living, and Dubai Marina. Emaar Group is listed on the Dubai Financial Market as a Public Joint Stock Company. Emaar is active in education, healthcare, shopping malls, hospitality and leisure, and financial services. 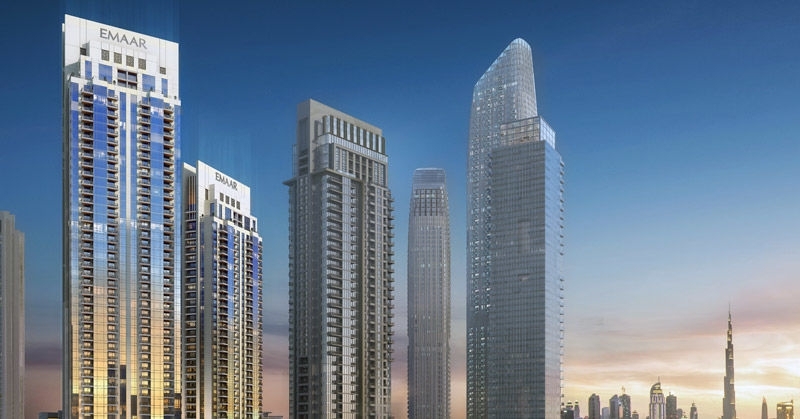 The Rise tower is placed at highly anticipated waterfront development of Dubai Creek Harbour. Dubai Creek Harbour is an opportunity for investors to involve with this large size project which is almost twice the size of Downtown Dubai. It is also known as the new heart of the city. The neighbourhoods of the project make this location very captivating with views of "Central Park", "Dubai Skyline" & "The Tower" enviably. The Rise is being developed in such a way that it ensures to offer endless excitement and activity for residents and guests of all ages. The Rise location is very suitable for tourism and residents as well where they can experience The Marina Lifestyle whether on land or by boat. 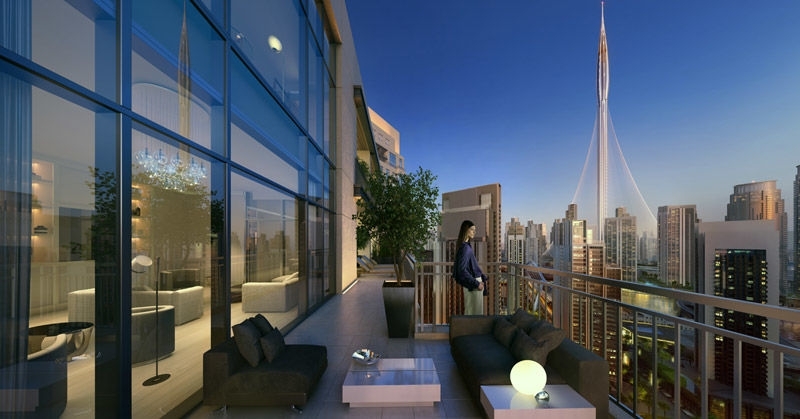 Creek Rise Tower address is Dubai Creek Harbour (The Lagoons), Dubai, Unites Arab Emirates. Emaar Developer highlighted this high rise tower project by enveloping it with basic amenities as well as world-class facilities/features - The Marina Yatch Club, Wonderfully Landscaped Pathways & Parks, and Unique Dining & Retail Concepts, State of the art gym and swimming pool and Plenty of Covered Car Park, event lawn, high-quality fixtures, iconic views, leisure lounge, Mosques and Recreational Areas. 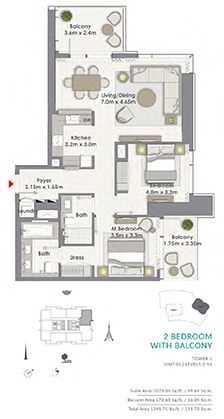 791 sq.ft. - 1907 sq.ft. 645 sq.ft. - 1490 sq.ft. 785 sq.ft. - 1642 sq.ft.